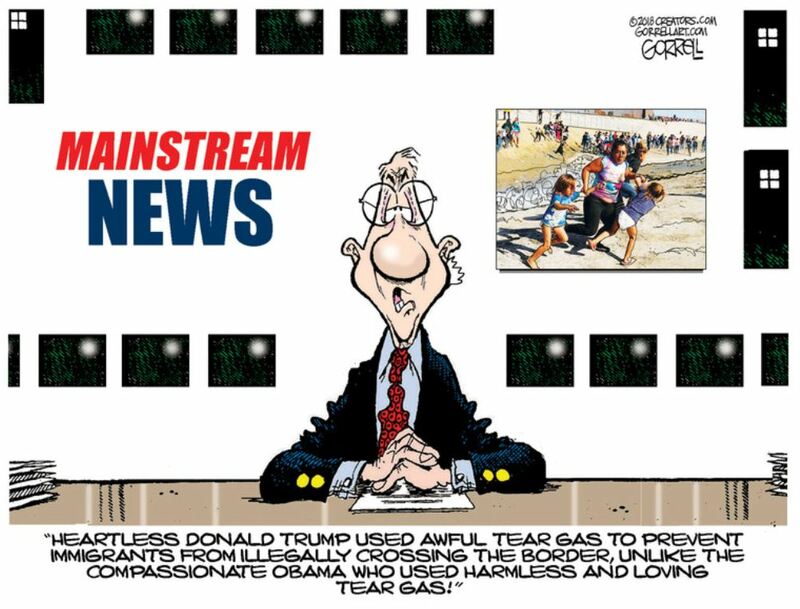 Bob Gorrell highlights the media’s clever use of propoganda in a widely repeated image of a mother dragging her children from tear gas at the border. A mob of mostly men were throwing dangerous rocks at border agents. In some states you can be jailed for home schooling your children. Yet drag them to a war zone with Disney t-shirts and you become a perfect visual narrative for open borders proponents.